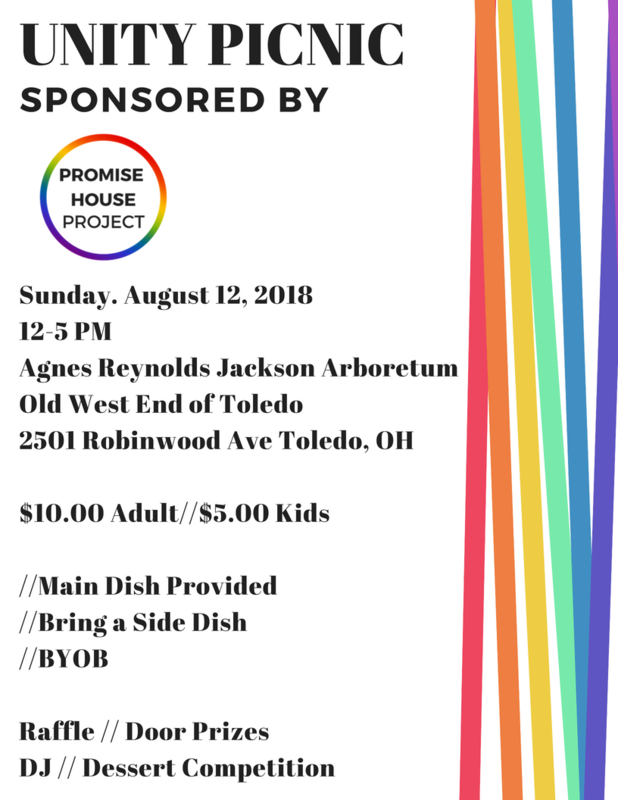 Join Promise House Project as we celebrate the diversity of the Toledo LGBTQ+ community at the 4th Annual Toledo Unity Picnic. The location has moved to Toledo this year and will take place at the Old West End Arboretum. We will have food, fun, door prizes, raffle, and a dessert competition! Main dish provided (traditional picnic food). Please bring a side dish! The Unity Picnic will take place from 12 pm-5 pm on Sunday, August 12th, 2018. BYOB for those over legal drinking age. Children are invited, so please be respectful.